In a Nutshell: As customers have come to expect online and mobile banking capabilities, conversational AI has emerged as the next wave of digital transformation for financial institutions. 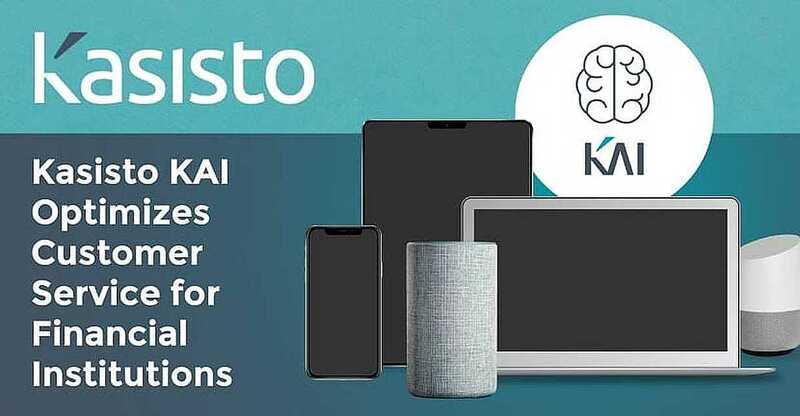 The Kasisto KAI platform provides a prime example of how AI — powered by natural language processing, machine learning, and in-depth industry knowledge — can streamline customer interactions while optimizing how banks provide customer care, sell and market their products and services. Banks use the KAI platform to create virtual assistants and chatbots that empower their customers to complete routine banking tasks and questions themselves, which reduces call center volume and overhead. And KAI’s AI-powered conversations are personal and contextual leveraging customer data to boost brand loyalty and increase customer value — all while seamlessly integrating with a bank’s existing infrastructure. Seeking to expand its presence in Asia, Singapore-based DBS Bank introduced digibank, India’s first entirely digital bank, in 2016. With digibank, DBS wanted to proactively exceed customer expectations with an entirely new banking experience and rapidly reimagine its approach to serving modern, tech-savvy consumers. So the bank turned to the KAI platform to help launch its vision and create a virtual assistant that would be the face of the bank. The platform is powered by Kasisto, a company that spun out of SRI International (where Siri was invented) with a long history of AI innovation — including natural language understanding, interpretation, reasoning, and natural language generation. As a platform, KAI is trained to understand the financial services industry, which ensures the conversations are intelligent and the virtual assistant understands what bank customers want to know and do. Tracy DeMiroz, Kasisto VP of Marketing, told us how financial institutions are using the KAI platform. KAI quickly made a positive impression on digibank customers by easily answering thousands of questions and requests. As a digital-only bank, the KAI-powered assistant was the face of the bank and handled 82% of all customer interactions without the need for a human handoff. Digibank has more than 2 million customers and DBS was able to create the digital-only bank with 20% of the resources of a traditional bank. KAI’s flexibility allows it to act as an “AI brain” which makes it easily deployed across channels and markets. KAI virtual assistants and chatbots work across the bank’s mobile apps and websites as well as third-party channels such as messaging platforms and voice-enabled devices with customized assistants that reflect the bank’s brand. “We’ve set ourselves apart in working with financial institutions to solve business objectives while improving the customer experience,” Tracy said. “Our customers chose KAI for its proven track record to drive business results while improving customer experiences. The platform is engaging with millions of consumers around the world, across multiple channels, in different languages, and is optimized for performance, scalability, security and compliance. KAI’s ability to handle the most common customer care inquiries while knowing when to transition a conversation to a live agent ensures the experience is positive for customers. There will always be instances when the virtual assistant needs to connect the customer with a customer care representative – whether the assistant was not yet trained to know the response or the circumstance requires it, like reporting fraud. While customers are delighted with easier interactions and more personalized experiences with their banks, banks are also driving business results with Conversational AI. At launch, most banks start with a narrow set of use cases to quickly learn and iterate. That’s why KAI includes platform tools and services to put more control in the bank’s hands. Post-production with KAI’s Platform Tools & Services, financial institutions are empowered to maintain and improve their KAI-powered virtual assistants and chatbots as well as extend the capabilities and channels. It includes a Business Dashboard, AI Training and Conversation Management and other tools, which acts as the bank’s portal to its conversational AI engine. KAI can help customers complete common banking tasks through self-service. “After you put KAI in front of your customers, it’s like giving them a microphone and it’s that data that feeds the beast. The more KAI engages with customers the more it learns from this data. With KAI’s platform tools, our clients can continue the design, training and deployment processes to increase what the virtual assistant can do and account for all the distinctive ways that their customers ask for specific things,” Tracy said. Tools that KAI provides to improve precision, learn phrases, and implement new features are part of this functionality. Those systems work with KAI’s machine-learning capability to continually find more efficient and accurate ways to respond to customers’ questions and requests. The optimization process includes analysis of new customer questions and inquiries, prioritization of recommendations, and strategic deployment of new features. That means performance is improved, new use cases uncovered, and knowledge is transferred to financial institutions on a continuous basis. The power of Conversational AI is that it forms the foundation for personalized, contextual conversations that go a long way to improve the customer’s relationship with their bank. During these conversations, customers can receive help managing their money as well as offers and promotions for products and services when they are relevant, so banks can maximize the long-term value of customers with contextual customer experiences. Consistent with a bank’s business objectives for Conversational AI, KAI can engage customers with goal-setting prompts, spending alerts, and other digital interactions. KAI can break down spending patterns and proactively notify customers when bills are due or account balances are low. The platform can even advise users on next steps. 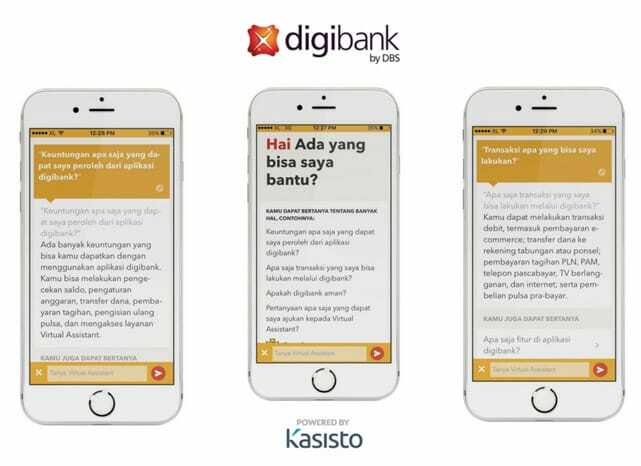 DBS used the KAI platform to successfully launch a mobile-only banking experience called digibank. Answers that include contextually relevant offers and benefits can also boost new customer acquisition and increase a customer’s lifetime value. For example, an auto loan offer might be presented in response to a customer meeting a savings goal for a new car. At DBS, the KAI-powered virtual assistant in digibank quickly evolved from the digital-only bank into a core component of the bank’s channels and was integrated across multiple countries and languages. That scalability shows that Kasisto’s KAI platform is powerful enough to serve as any bank’s AI brain. In addition to DBS, Kasisto’s customers include Wells Fargo, J.P. Morgan, Mastercard, TD Bank, Standard Chartered, DBS Bank, among others. They chose KAI Banking for its proven track record to drive business results while improving customer experiences. The platform is engaging with millions of consumers around the world, across multiple channels, in different languages, and is optimized for performance, scalability, security, and compliance. KAI is designed to live in a bank and play well with the bank’s back-end and front-end data, channels and infrastructure. It’s been tested and proven to integrate and adhere to many leading banks’ rigorous and challenging IT and architecture standards and technologies. Its API-centric design ensures smooth integration with the bank’s infrastructure and data. With Kasisto concentrating on what it does best — Conversational AI with deep domain knowledge about finance — banks can focus on leveraging the platform to increase operational efficiencies, decrease customer care costs and increase digital customer acquisition and enjoying returns on their AI investment. KAI is a conversational AI platform that is API-centric and includes a deep AI technology stack as well as Platform Tools and Service that give banks control to manage the system. With a smooth, secure, and compliant KAI platform, client care and other resources can be redirected to higher-level human interactions while KAI efficiently handles routine banking tasks. And banks can focus on achieving better results through its personal services. “We don’t see a world where AI systems like KAI ever replace human-to-human interactions. Instead, we see a world where Conversational AI streamlines digital customer journeys and these virtual assistants become little “do engines” to help people manage their money. They will always co-exist with the bank’s team and together lead to gains across the board,” Tracy said. With KAI-powered Conversational AI, customers get faster, contextual and personalized banking with better response and follow through, and banks reap the benefits of serving those customers better for the long term.